Restaurant Michael features holiday favorites with a Christmas Eve Four-Course Prix Fixe Dinner featuring “greatest hits” selections fr om past years’ menus. Guests have a choice of four dishes for each course plus Michael’s signature Gougeres cheese puffs to start the meal and ending on a sweet note with Michael’s handmade Grand Marnier Chocolate Truffles. 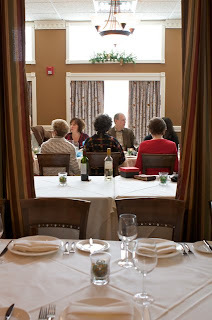 The prix fixe Christmas Eve menu is $49 per person and children 10 and under are half-price with half size portions. The special menu runs 4:30 p.m. until 8 p.m. Thursday, Dec. 24. Complimentary valet service is also available on Christmas Eve. Restaurant Michael is closed Christmas Day, but open regular business hours for the remainder of the Christmas week. Restaurant Michael is also open regular business hours during the weeks of both Hanukkah and Kwanzaa. Ring in the New Year at Restaurant Michael with four and five course menus. Early seatings are every 30 minutes between 5 p.m. and 8 p.m. on Dec. 31 when guests enjoy a luxurious Four-Course Menu complete with an appetizer, fish, entrée and dessert course. Early seatings are $69 per guest and include a complimentary glass of Tattinger Champagne with dessert. Later seatings are every 30 minutes after 8 p.m. until 11 p.m. and these guests enjoy a Five-Course Menu with an appetizer, fish, entrée and dessert course, plus a special truffle course. This five-course menu is $79 per guest and also includes a complimentary glass of Tattinger Champagne with dessert, plus party favors for the midnight celebration. Dance 2009 away with Live Music at Restaurant Michael, featuring a two-piece band from 7:30 p.m. to 12:30 a.m. Complimentary valet service is also available. For the first time ever, celebrate New Year’s Day with Restaurant Michael, featuring a Three-Course Prix Fixe menu with a choice of appetizer, entrée and dessert, plus a special course of Potato Truffle Soup to kick off the meal. Reservations are accepted beginning at 3 p.m. for an early dinner and continue every half hour until 7 p.m. The Jan. 1 menu is $49 per person. Children 10 and under are half-price with half size portions. Having a Holiday at Home? For guests choosing to celebrate the holidays at home, be sure to contact Restaurant Michael to prepare readymade items especially for those holiday gatherings without putting in the effort. Although guests may select any menu item, Chef Michael Lachowicz suggests the Whole, Brown Sugar Brined, Organic Ready-to-Roast Turkey ($3/lb. ); Michael’s Fully Cooked, Prime Beef Short Ribs ($14/lb. ); Ready-to-Roast Marinated Prime Chateaubriand of Beef Tenderloin with Sauce ($17/lb. ); House Cured and Smoked Wild Alaskan King Salmon ($14/lb. ); Country Style Pate or Duck Liver Mousse with garnishes ($9/lb. ); Potato and Black Truffle Soup ($18/quart); Brown Sugar Roasted Butternut Squash Soup ($12/quart); Creamy Mashed Potatoes ($3/serving); Restaurant Michael’s Siganture Gougeres, warm cheese puffs ($12/dozen); or Grand Marnier Valrhona Chocolate Truffles ($1.25/piece). All orders can be made by contacting Michael Lachowicz directly at (847) 404-6916 or chefdeuxgros@gmail.com. All items are available the same day as ordered. Restaurant Michael, located at 64 Green Bay Rd in Winnetka, Ill. 60093, serves classic haute cuisine in a contemporary presentation with French country flair. The restaurant is open for dinner Monday through Thursday 5:30 p.m. -10:30 p.m.; Friday and Saturday 5:30 p.m. -11:30 p.m.; and Sunday 4:30 p.m.-9 p.m. The restaurant is open for lunch Fridays 11a.m. -2 p.m. Complimentary parking is available. All major cards are accepted. 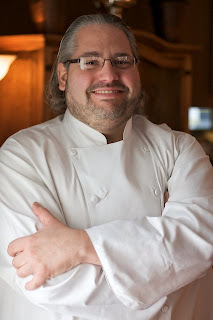 For more information or to make a reservation, call (847) 441-3100 or visit www.restaurantmichael.com.